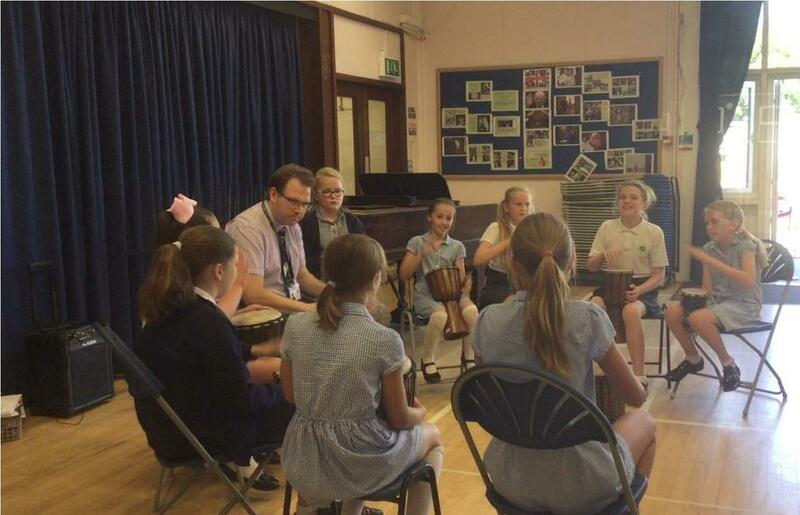 What could be better on a Summer’s day than hearing Steel Pans and watching an amazing, talented group of young musicians, writers and poets perform?! 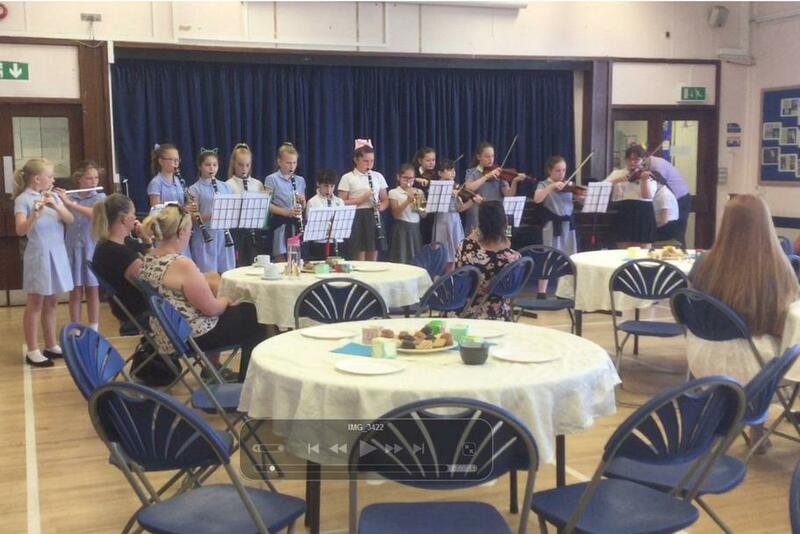 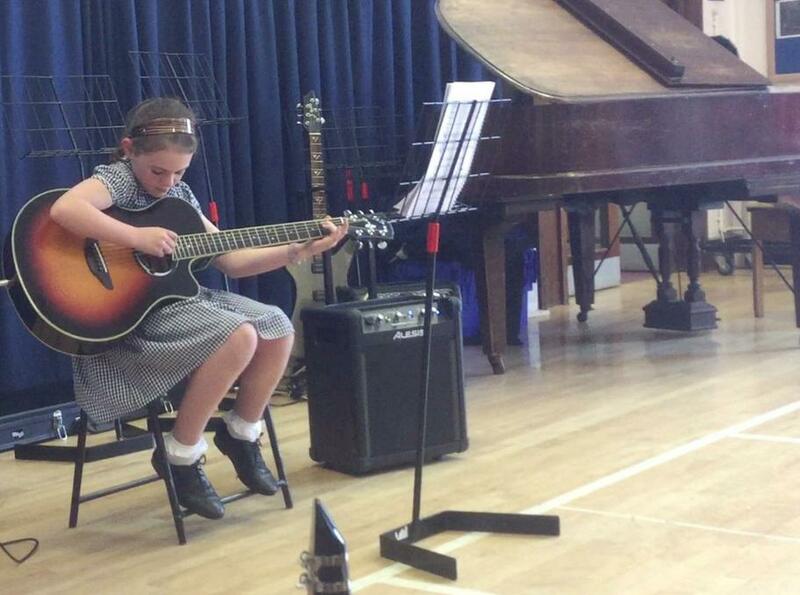 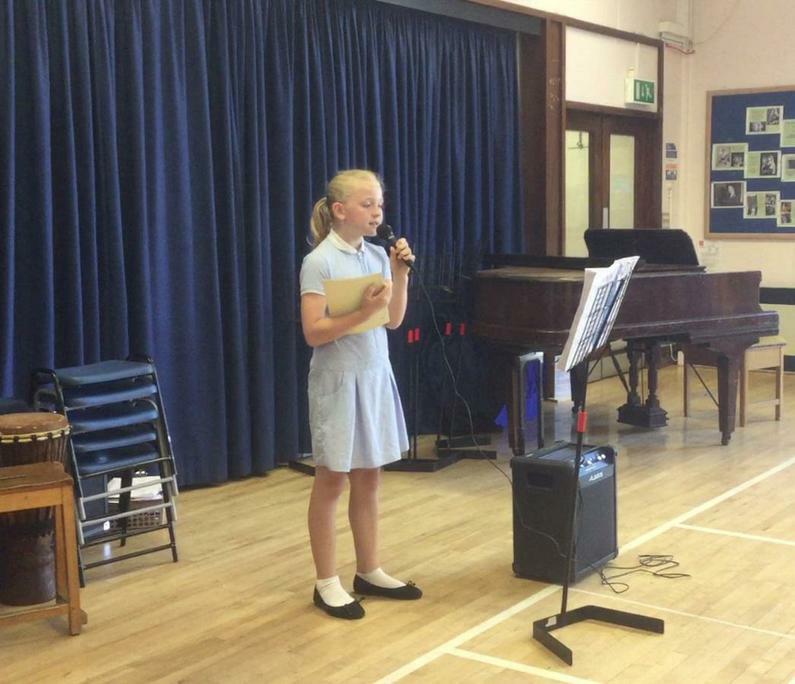 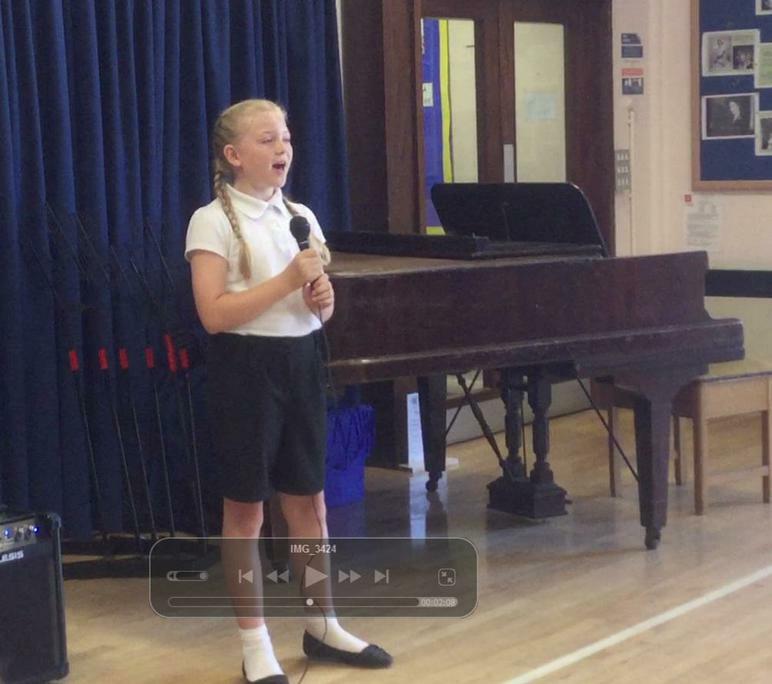 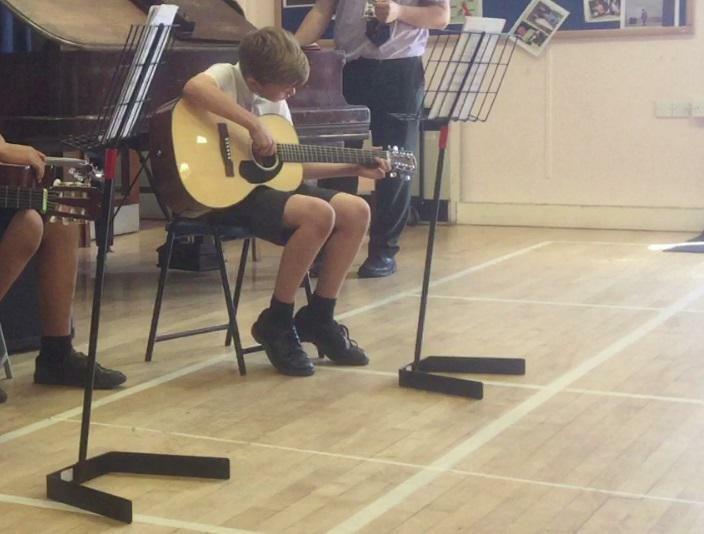 On Tuesday 26th June, Parents, friends and family were treated to what can only be described as an absolutely delightful Helpers coffee morning followed by the annual Summer Music Concert after school. 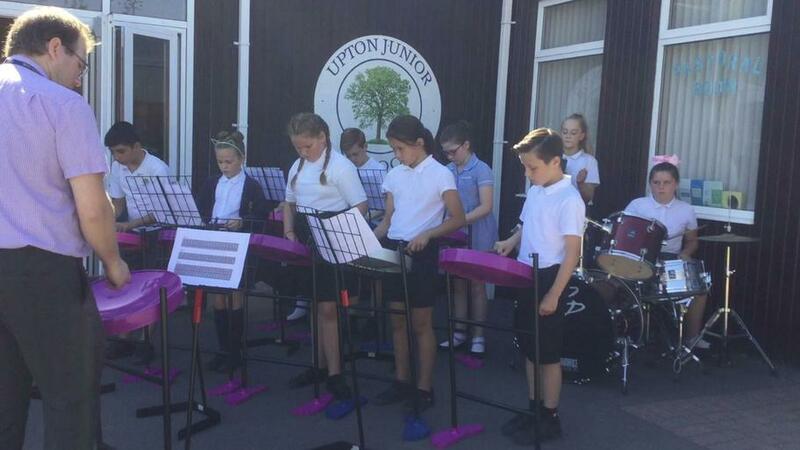 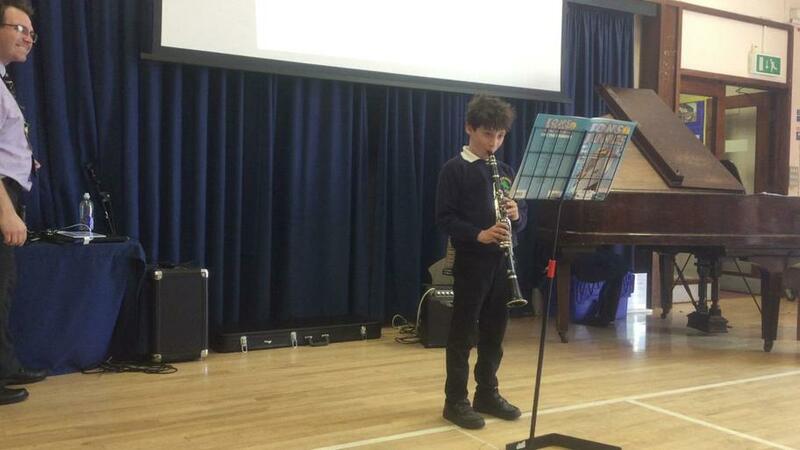 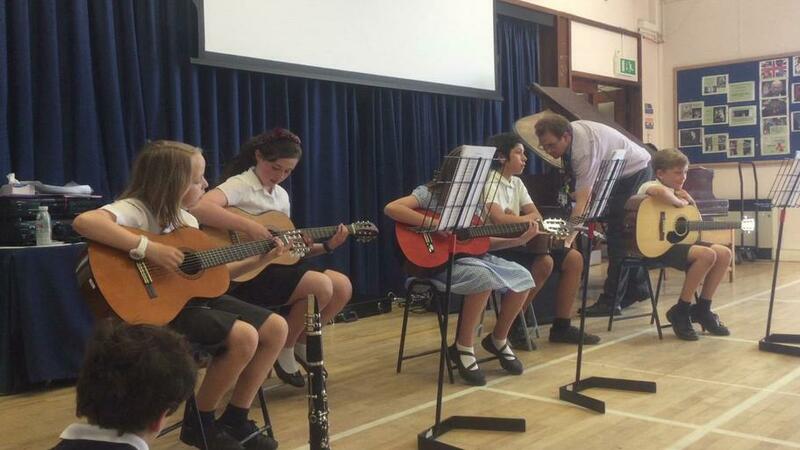 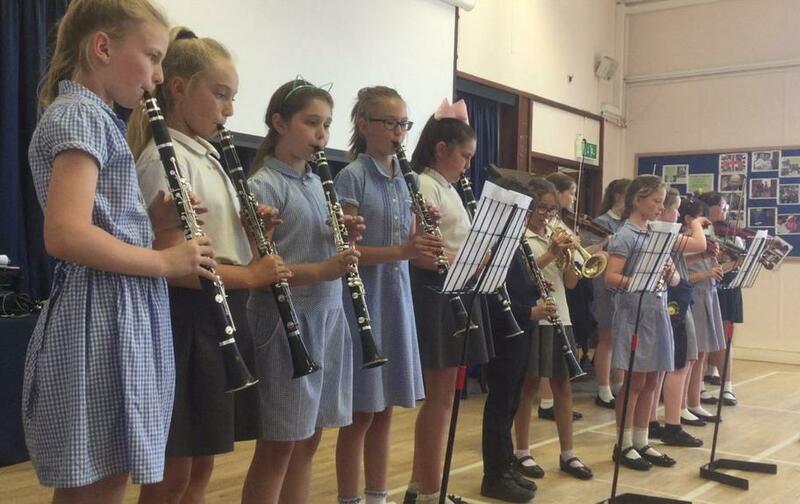 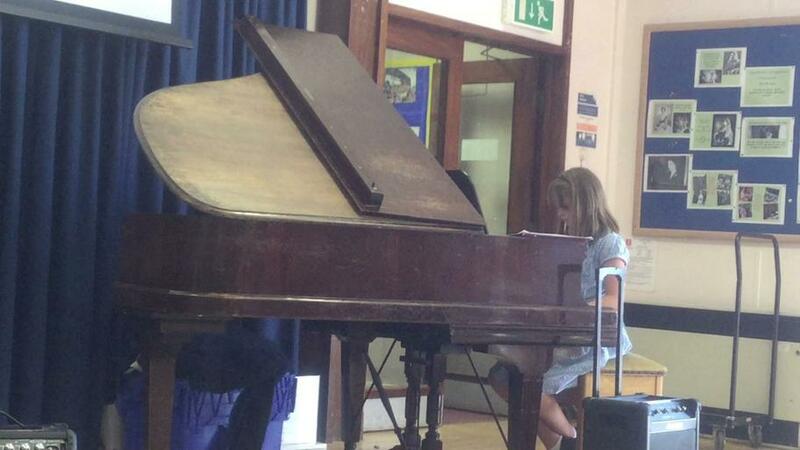 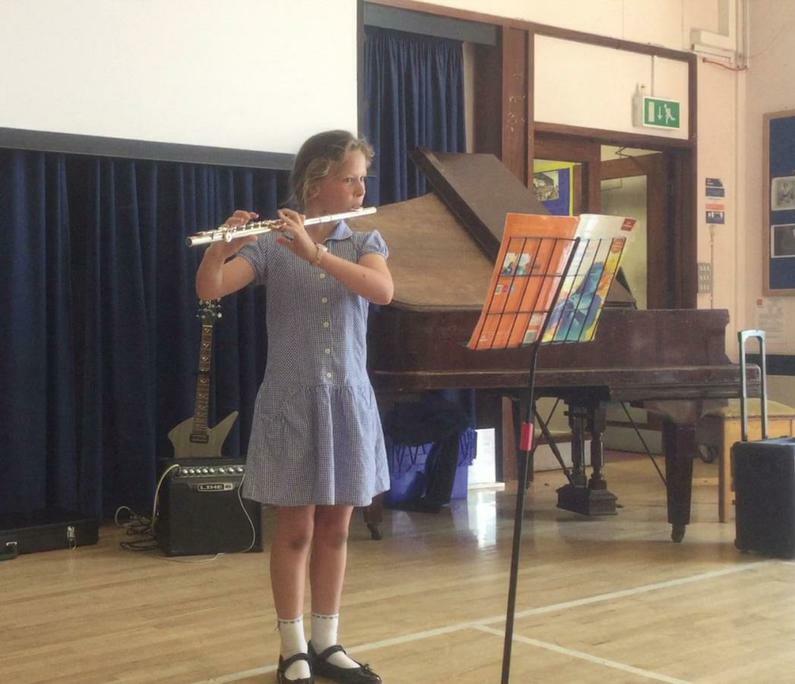 Once again the pupils displayed a variety of musical skills, along with their passion and love for Music; which was so fitting for Mr Welcomme’s final concert at Upton Junior School. 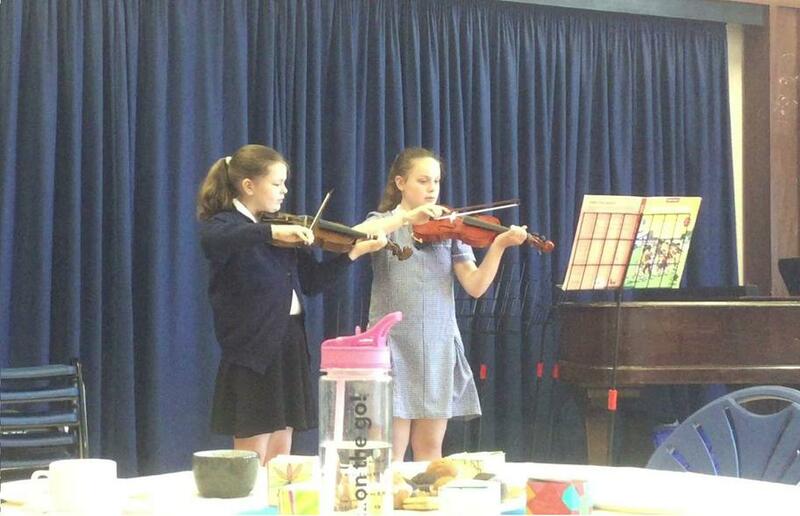 Who would have thought a year ago was when UJS had a visit from ‘Escala’ and now we have a 15 piece orchestra! 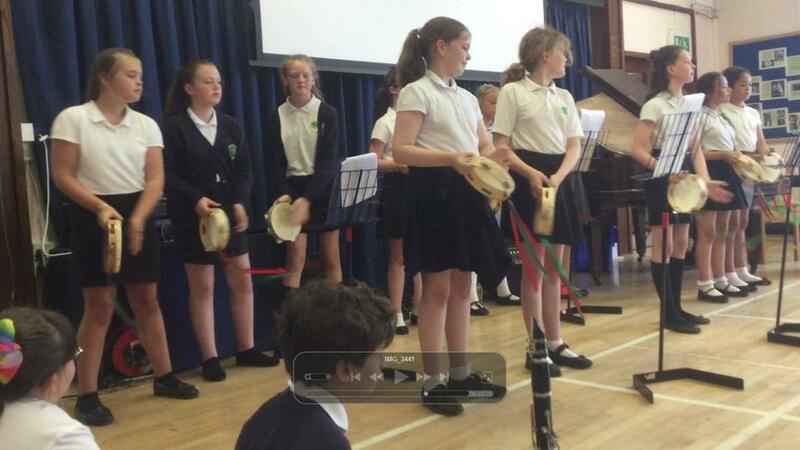 Everybody involved should feel very proud indeed! 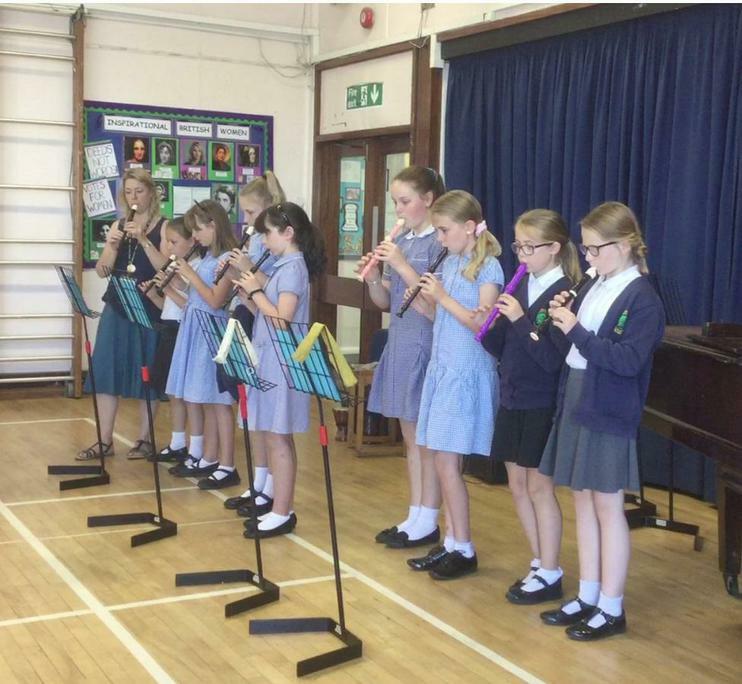 Wareham Town Band Visit to UJS April 2017- One year on!